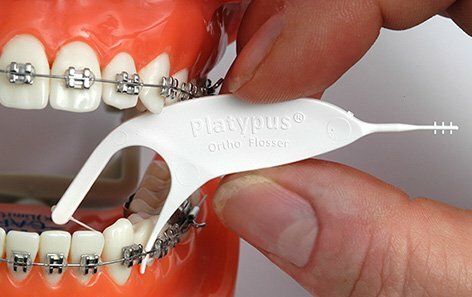 FLOSSING WITH BRACES MADE EASY – The quickest and easiest way to floss while receiving orthodontic treatment, only one hand is needed! 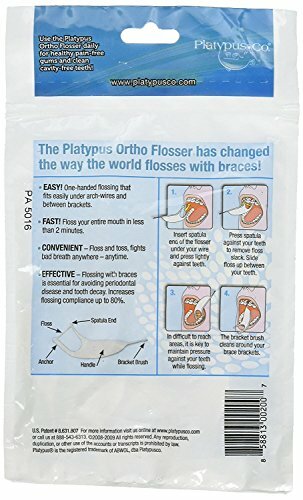 Details: The Platypus Ortho Flosser comes in a bag of 30 flossers, and is changing the way the world flosses with braces. Gone are the days of threading endlessly for hours – now you can floss and go OR simply floss on the go. 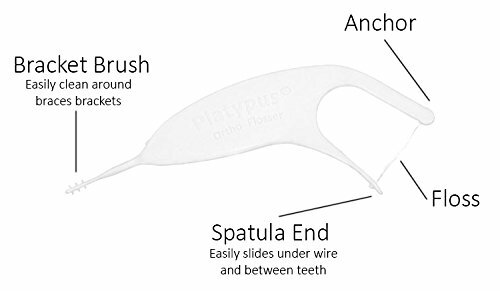 The floss end of The Platypus has a unique spatula-like end that slides between your wire and your teeth. By gently pressing against your teeth the floss is tightened and you are flossing. 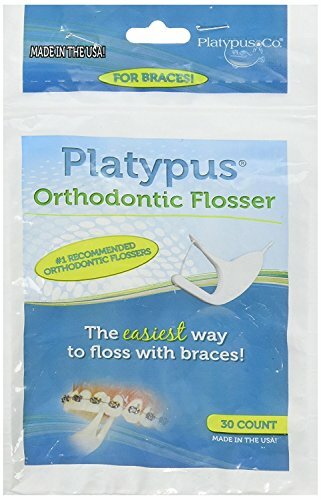 On the opposite end of the Platypus, you have a brush for cleaning those hard to reach areas around your brackets.